The league’s marathon playoffs will run until June when one team is crowned Stanley Cup champions. 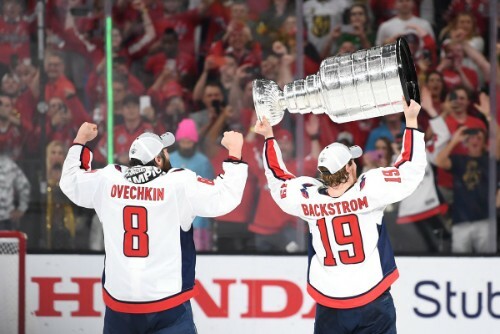 The Washington Capitals won the 2018 edition of the Stanley Cup Finals. Can they do it all over again or will another team beat them to the most prestigious prize in ice hockey? Sixteen teams will battle for Sir Stanley’s cup. To determine just which team will lift the trophy, we will look at three different ZCode System Playoff Simulator simulations. However, let us look at leading sportsbooks’ favorites to win the postseason first. To no one’s surprise, the Tampa Bay Lightning clinched the President’s Trophy this week. Tampa Bay has amassed 116 points as of this post. Leading sportsbooks have the Lightning at +200 to lift the Stanley Cup. Does the President’s Trophy have any implication on winning the Stanley Cup? No, none whatsoever. Don’t believe those people who say it does. Since 1985, only eight teams have won the Stanley Cup after winning the President’s Trophy. In the last five seasons, the President’s Trophy winner has failed to win the Stanley Cup. Why has this happened? The President’s Trophy winner expends a lot of energy to be the best in the regular season, but when the postseason begins, they are out of gas. Playoff opponents have scouted the top team and have the tools to beat them when it counts. Four of the last five President’s Trophy winners did not make it past the second round. Will Tampa Bay be the ninth team to do the double? We shall see. Could the Calgary Flames end Canada’s Stanley Cup drought? The Montreal Canadiens were the last team to win it in the early 1990s. The Flames top the Western Conference with 95 points as of this writing. The San Jose Sharks are hunting the Flames and could overtake them in the west. The Sharks are on 94 points after 73 games. The Boston Bruins are fourth in odds, according to leading sportsbooks. Despite being the second best team in the east, Boston is miles behind Tampa Bay in terms of points. Three ZCode Playoff simulations have been conducted this week (Tuesday, March 19th) with settings of low, average, and high upset levels. 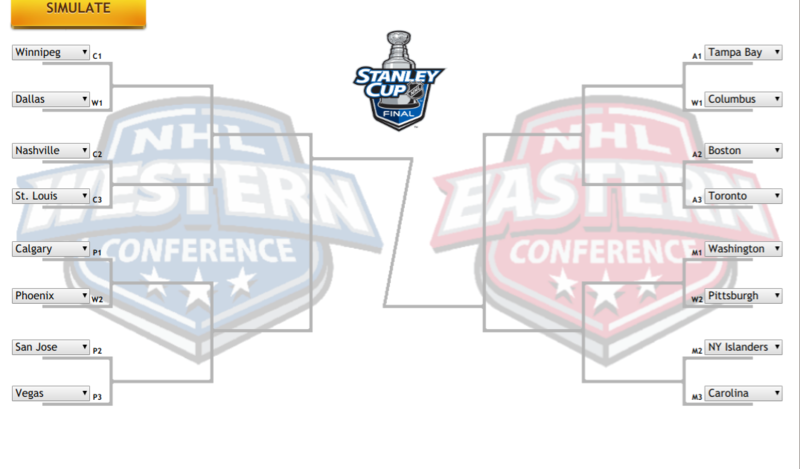 The playoff simulation uses data collected from this season and previous NHL seasons to determine the likelihood of the Stanley Cup winner. The Vegas Golden Knights avenge their loss to Washington from 2018, according to the ZCode System Playoff Simulator when set on low upset. According to the average upset level, the Golden Knights are set to win the NHL Stanley Cup. 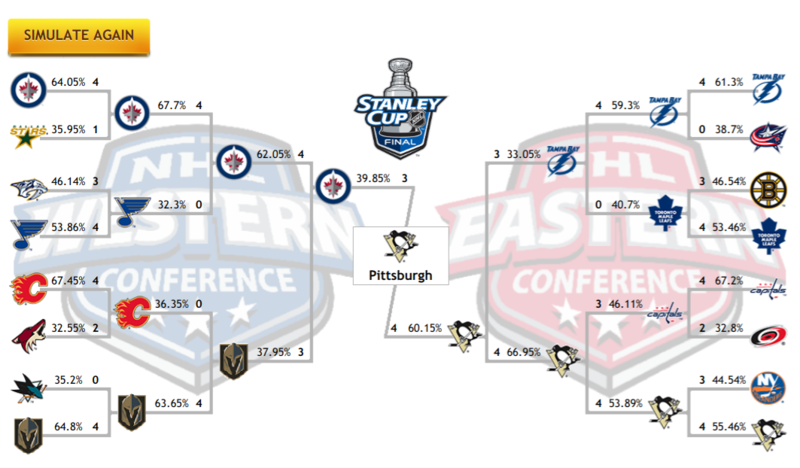 The high upset level favors the Pittsburgh Penguins. However, the Golden Knights once again go deep into the postseason losing in the Western Conference Finals. Two out of three playoff simulations predicted the Vegas Golden Knights as Stanley Cup winners. Vegas is currently +1200 to win the trophy. Meanwhile, Pittsburgh is +2000 according to top bookies. So whom do you pick? ?